A trailer for an upcoming documentary has riled some in Alaska's mushing community for what they contend is an inaccurate portrayal of their sport during the two-minute preview that includes a scene of a bleeding dog in the Iditarod Trail Sled Dog Race and a pile of dead dogs in Willow. 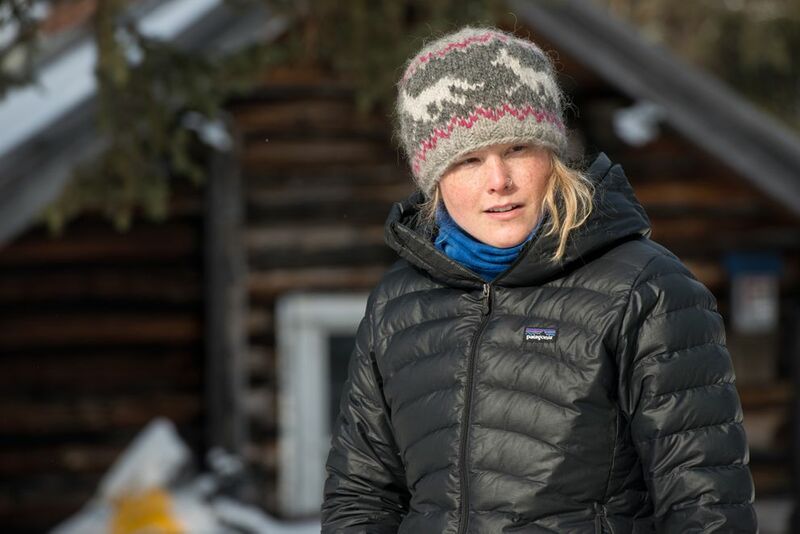 The 82-minute documentary, "Sled Dogs," was directed by Fern Levitt and is expected to premiere at the Whistler Film Festival in Canada next month. An online summary of the film says it will "explore the truth about the dog sledding industry and the Alaskan Iditarod while posing the question: 'Is this abuse disguised as entertainment against "man's best friend"?' "
While the full documentary remains unseen in Alaska, the short trailer has already sparked controversy, with one Alaska-based musher and Iditarod race officials saying they were tricked into participating in its filming. The trailer appeared Tuesday on YouTube and has since generated hundreds of comments praising and condemning it. Lisbet Norris, a 28-year-old musher who lives outside Fairbanks, said the trailer left her horrified. While she didn't necessarily want to give it publicity, she said she felt compelled to provide a counter narrative to what's portrayed. "It so blatantly misrepresents our sport," Norris said. "It's completely misleading and it's promoting lies about mushing and stereotypes based on some completely isolated incidents." Levitt, the film's director, did not respond to several messages left on her cellphone this week. The film's executive producer, Arnie Zipursky, also did not return calls. According to a 2015 article in the Aspen Times, the documentary was commissioned by the Canadian Broadcasting Corp. and inspired by the 2010 slaughtering of dozens of dogs by a general manager at a cash-strapped sled dog touring company north of Whistler, British Columbia. Bob Fawcett, the man convicted of killing the dogs, never ran the Iditarod, but at the time of the killings, he did serve on the board of directors of the Alaska-based sled dog welfare group Mush With P.R.I.D.E., according to the Canadian Press. Levitt told the Aspen Times that she was commissioned to find dog-sledding businesses managed in a humane manner. She said she was in Snowmass Village, Colorado, to film the Krabloonik dog-sledding business and how it had changed after its prior owner, Dan MacEachen, pleaded guilty to a charge of animal cruelty in 2015. MacEachen ran the Iditarod six times between the late 1980s and early 1990s. He died earlier this year. The documentary trailer names Snowmass Village as well as Whistler and Willow between grim voice-overs about culling and running dogs too hard. "This industry is an abomination," says one woman. "Wasn't it Mahatma Gandhi who said society is judged by the way we care for our animals?" says a man. "If that's the case, we're in deep, deep, deep s—." The trailer also includes brief comments from Patrick Beall, a musher who ran his first Iditarod this year. Near the beginning of the trailer, a scruffy-faced Beall comes on screen and says more people have climbed Mount Everest than finished the Iditarod. He says he is nervous about tackling the race but wants to see if he can do it. 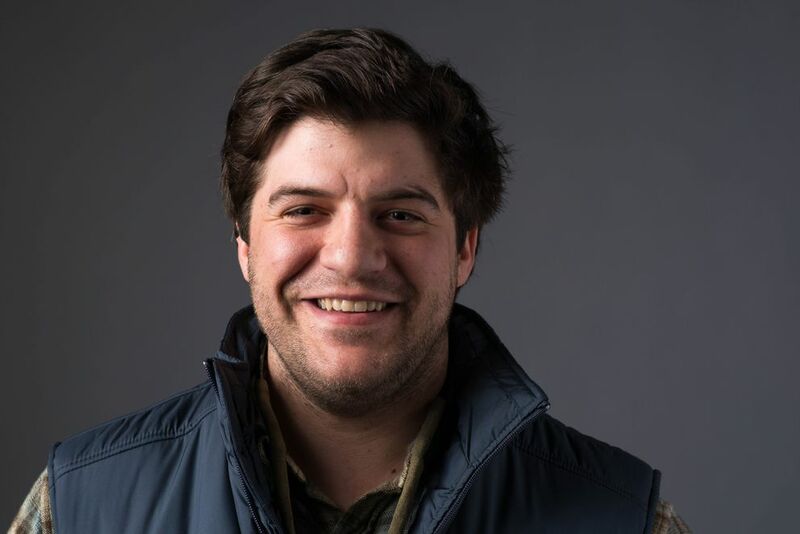 Beall, a 27-year-old who hails from Oklahoma, said in an interview Wednesday that he agreed to participate in the film because Levitt, the director, told him that she wanted to make a documentary about a musher's first journey to Nome. Beall had been living in Sterling and had spent a few years handling for Mitch Seavey, this year's second-place Iditarod finisher and father of race champion Dallas Seavey. Beall had qualified for the 2016 Iditarod and was planning to run a group of 2-year-old dogs from Mitch Seavey's kennel. Beall said Levitt and her film crew visited him twice in Sterling before following him along the 2016 Iditarod trail. He said the crew always gave him compliments about his care of the dogs and bought him dinner after filming. Levitt told him he was well-spoken and handsome, calling herself his "mom away from home," according to Beall. "That whole time, we were absolutely good friends," Beall said. "I enjoyed their company. I thought they were really cool and they were always really enthusiastic about what they were filming. "But they completely took advantage of my genuine trust." Beall said he last saw the film crew in March, at the end of the race in which he finished 64th. He said he had left Levitt a message at the end of October, giddy about the release of the trailer for the documentary that would allow him to share his love of dog mushing with his parents, friends and someday his children, he said. He said he never heard back from Levitt but received a call from an Iditarod official Tuesday after the trailer had been posted online. That's when he said he realized something had gone horribly wrong. The documentary wasn't about his first race to Nome. "To do a complete attack on the sport as a whole is so outrageously wrong," Beall said. "Especially because of the way they did it and the way they're going to do it, by editing and taking this out of context." To make "Sled Dogs," its production company, Slater-Brody Productions Ltd., received at least $400,000 from the Canada Media Fund, which receives financial contributions from Canada's government, according to its website. The film's online summary describes the Iditarod as the money-making machine that is "perhaps the biggest hurdle on the road to achieving better treatment for sled dogs, as it is a financial pillar in the Northern community and a tradition that is well loved by mushers and spectators alike." In 2016, the Iditarod handed out a total of $793,000 across 71 mushers who finished the race. First-place finisher Dallas Seavey received $75,000 in prize money, plus a Dodge Ram truck. According to the Iditarod Trail Committee's Form 990 for 2015, the nonprofit reported its total revenue at about $3.8 million and its total expenses at about $3.7 million. Stan Hooley, Iditarod chief executive, did not return calls this week, but the Iditarod Trail Committee issued a statement Wednesday in response to the trailer. The statement said that Slater-Brody Productions Ltd. applied for and received media credentials for this year's Iditarod. According to the committee, the company's media application said, "We are covering Patrick Beall as he prepares and races his dogs for his first Iditarod race." The Iditarod statement goes on to say, "It's clear to us now that they were never interested in the facts and that we, from time to time, are victimized by animal-rights groups hellbent on imposing their agenda on us and others." The Iditarod Trail Committee said it took pride in "providing and promoting excellence in dog care." It said any musher found guilty of inhumane treatment would be disqualified and banned from future Iditarod races, according to the statement. That's what happened with Ramy Brooks, a two-time Iditarod runner-up who was disqualified from the 2007 race for physically punishing his dogs. He was suspended from the Iditarod until 2010 but has yet to return. Since the 2013 Iditarod, two dogs have died while racing and one dog died after it was buried by snow in a storm. Another dog died in 2016 after it was hit by a snowmachine. Darla Erskine, animal care officer for the Mat-Su Borough, is particularly concerned about the use of footage from Willow, showing a pile of immobile dogs in a dark Conex. She said those dogs belonged to Frank Rich, a Montana Creek dog breeder who had about 170 neglected huskies seized from his property in 2011. Rich has never raced the Iditarod. "It gives the sled dog people a bad name when it's false information," Erskine said. "That particular shot, it upsets me. It gives people the wrong impression." Erskine said that in her 11 years with the borough, she has seen about a half-dozen instances of animal abuse within the sled dog community. She said she had not received reports of mushers culling dogs, and noted the animal care staff inspected kennels every three years. "There's always a few bad apples in any group," she said.